Recently in British Columbia, we have seen yet another escalation in the war against oil and gas production, when the RCMP had to arrest 14 protesters opposing the construction of the Coastal Gaslink pipeline that would stretch from Dawson Creek to Kitimat in B.C. The pipeline has been described as an liquefied natural gas (LNG) pipeline, but according to the project website, it will transport regular slightly-pressurized natural gas to a LNG facility in Dawson Creek. The pipeline had successfully navigated B.C.’s regulatory process, and every elected First Nations band along the pipeline’s route support the project. The RCMP acted when protestors refused to remove blockades from roads needed for the construction of the pipeline. It’s also reported that the RCMP witnessed protestors setting fires. The actions of the RCMP are a triumph from the standpoint of upholding the rule of law, but they also represent a political failure—having to resort to force to resolve the dispute over a natural gas pipeline. 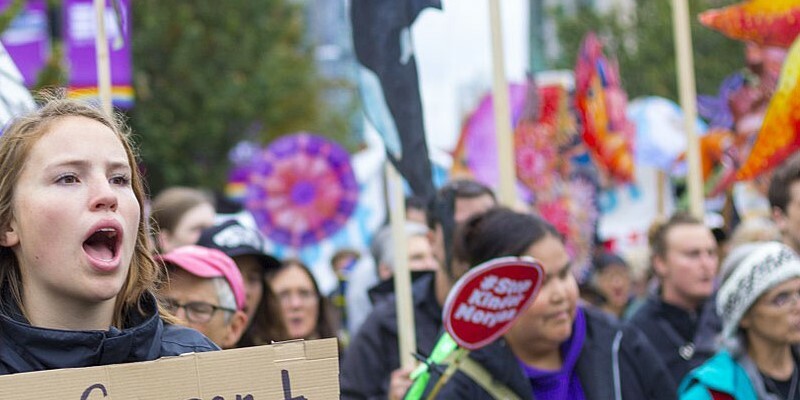 The protests also suggest we’ll have more such encounters if the Trans Mountain expansion pipeline goes ahead after the extended review and consultations. Such protests can only exacerbate tensions over the building of what should be—in a saner world—common oil and gas infrastructure. Already, B.C. ranks last among Canadian provinces in how investors perceive its policy environment. According to the Fraser Institute Global Petroleum Survey in 2018, B.C. was the lowest-ranked Canadian province at (58th out of 80) on the policy perception index, a comprehensive measure of the extent policy deters oil and gas investment. Crucially, 80 per cent of respondents cited the high costs of regulatory compliance in B.C., and 81 per cent cited political instability in the province as deterrents to investment. Alberta, desperate for a pipeline to either the east or west coasts of Canada, does not fare much better, ranked 43rd this year—a significant drop from its 2014 ranking of 14th worldwide. And the province continues to decline in investment attractiveness. More than 70 per cent of survey respondents cited Alberta’s high costs of regulatory compliance as deterrents to investment. Last minute protests, which drag out regulatory processes interminably, are increasingly a barrier to investment in oil and gas in Canada. Governments and petroleum producers must do more to ensure Canadians understand how critical energy production is to the Canadian economy, trade, employment and funding of critical services Canadians cherish such as good schools, health care and sound public infrastructure.